Kalyn’s Kitchen Turns 11 Years Old and I’m in Thailand; Let’s Celebrate with 11 Favorite Recipes with Thai Flavors! While I am off jaunting around Thailand with some friends, Kalyn’s Kitchen is turning eleven years old! How did that happen so quickly? It feels like I say this every single year, but truthfully when I wrote my first silly post on Kalyn’s Kitchen I had no idea how this blog would change my life! And last year I talked about some of those ways blogging has enriched my life for the ten year anniversary of the site. Now Kalyn’s Kitchen is turning 11 years old, and I’m missing the party! I’ve been off traveling in Thailand with some good friends but I wanted to do something to celebrate the birthday with you. So in the frantic last-minute rush of packing for a two-week trip to a foreign country, I managed to collect 11 Favorite Recipes with Thai Flavors that I’ve shared on this blog and schedule this post for the big day! I’m sure my recipes aren’t that authentically Thai, but most of them do use at least some Thai ingredients, and hopefully they give you some idea of why I’m so excited to taste the food in Thailand. And while I’m there I’ll be watching and taking notes to see if I can find some healthy Thai dishes to share when I get home. Meanwhile, hope you enjoy trying some of these faves if you like Thai food! 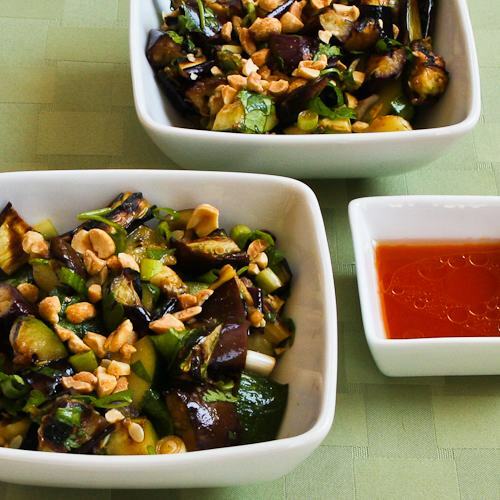 Grilled Eggplant and Zucchini Salad with Thai Flavors is a fun idea for something new to do with zucchini! 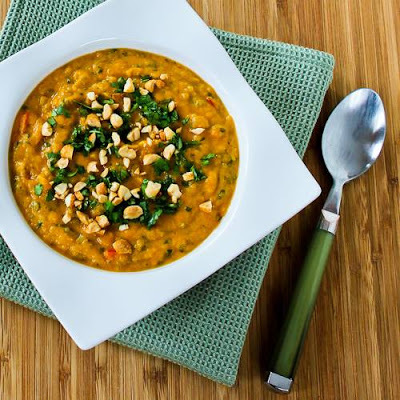 I’m not even sure they actually have butternut squash in Thailand, but this Slow Cooker Thai-Inspired Butternut Squash and Peanut Soup has a lot of Thai flavors. This Thai-Inspired Ground Turkey Stir-Fry with Basil and Peppers has been a bit hit on the site. 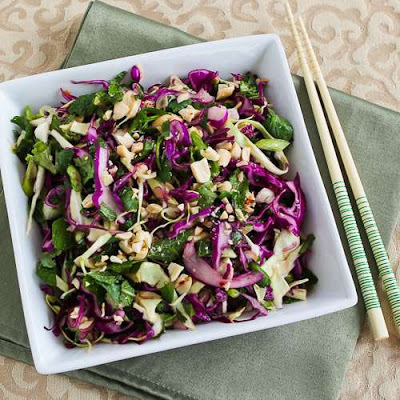 This Thai-Style Spicy Cabbage Slaw with Mint and Cilantro is so good, I’d even make it in the winter when (gasp!) I have to buy mint at the grocery store! Chicken Breasts with Cilantro and Red Thai Curry Peanut Sauce has been pinned over 70K times, and I’ve made this many times for guests. A Thai shrimp salad at one of my favorite restaurants inspired this Shrimp and Cucumber Noodle Salad with Thai Flavors. Larb is one of the things I’m looking forward to trying in Thailand, and it’s something I often order in a Thai restaurant. 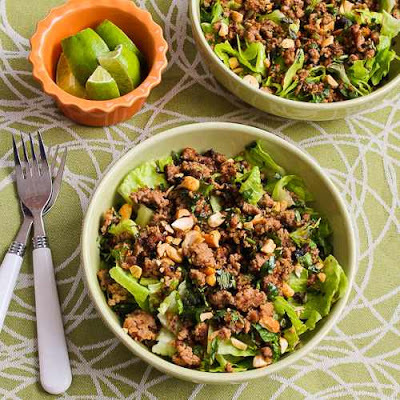 I’m sure it’s not authentic, but I love this Thai-Inspired Ground Turkey Larb Salad with Sriracha, Mint, Cilantro, and Peanuts. 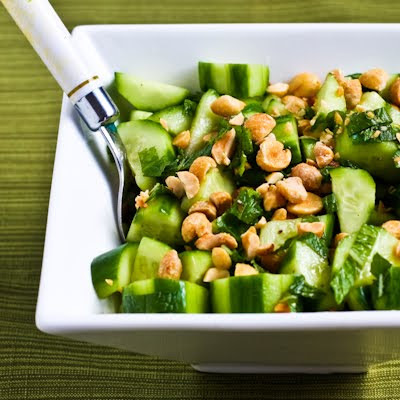 Wake-Up-Your-Mouth Thai Cucumber Salad has lime juice, fish sauce, sweetener of your choice, Green Tobasco Sauce, and garlic, plus fresh mint. Oh yeah! Cucumber Ribbon Salad with Peppers, Radishes, and Thai Dressing is perfect for summer! 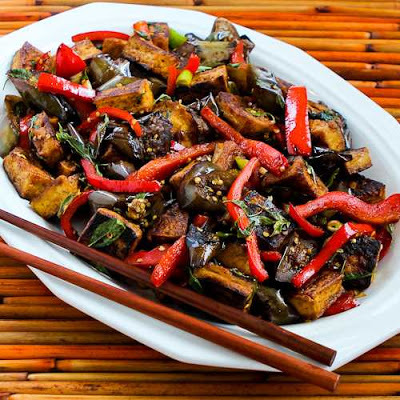 Thai Basil is one thing that makes some Thai dishes so good, and I love it in this Sriracha-Spiced Stir-Fried Tofu with Eggplant, Red Bell Pepper, and Thai Basil. 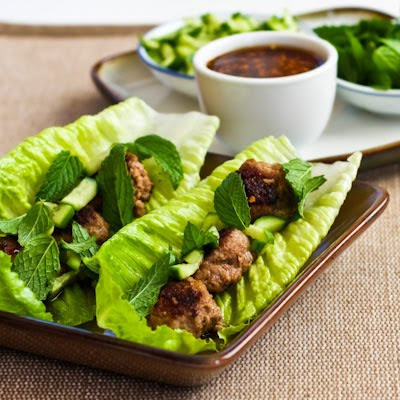 And finally, there are plenty of Thai flavors in these Thai-Inspired Mini-Meatball Lettuce Wraps! As I’m exploring Thailand I’ll be be reflecting on how I’m thankful for my blog, and for the opportunities it’s provided me, including this latest chance to see the world! If you’re been to Thailand or have any favorite Thai flavors, I’d love to hear about it in the comments. 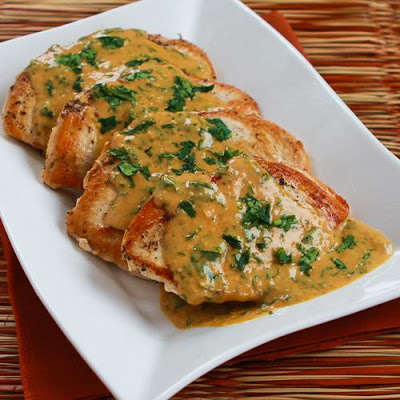 Your Chicken Breasts with Cilantro and Red Thai Curry Peanut Sauce looks amazing! I'm glad I discovered your blog all those years ago when I was hunting for healthy meals for my family. Congratulations on 11 years of healthy and delicious looking recipes! Thanks; I appreciate the support! You not only have great recipes, with lots of healthy, delicious dishes, but I like your attitude towards women, too. 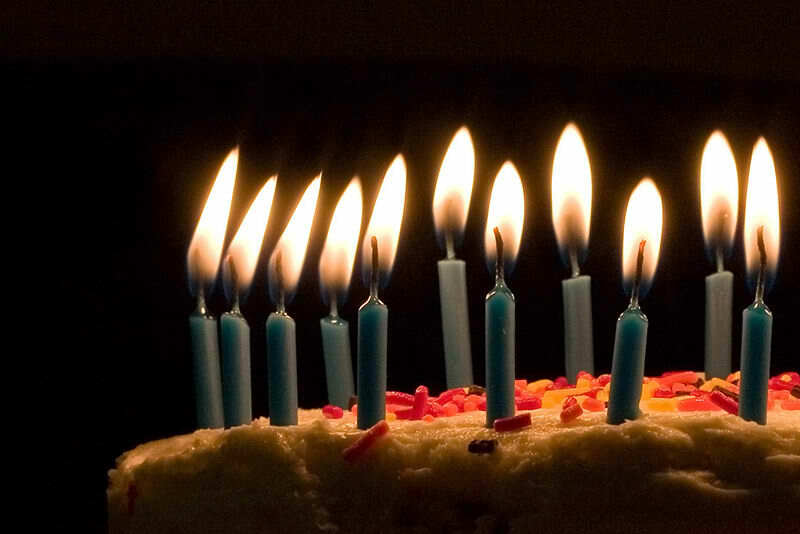 Wishing you many more happy years blogging. Thanks Elle; I appreciate the good thoughts! Congratulations on eleven years of blogging, Kalyn. I want to thank you for all the inspiration. I really go to town on the egg muffins! You make giving up starch much easier. Thanks and have a wonderful and safe trip. Congratulations on 11 successful delicious years! Thanks Barbara, and I'm so glad our blogging paths happened to cross and we could become friends! An amazing accomplishment Kalyn! Only fellow food bloggers know how much work 11 years of blogging is. You are an inspiration! Thanks Kim; I appreciate the support! Congratulations on 11 years of delicious, healthful recipes! Yours was one of the first food blogs I read so many years ago, and one that I still turn to when I need a good recipe. Have a wonderful trip! WHB together! It's been fun watching your kids grow up from afar! You started this blog a year before I started mine, and for all of these years I've had Kalyn's Kitchen to look up to. Congratulations on 11 wonderful years of quality recipes, great cooking tips, and sharing glimpses of your amazing family (so many adorable nieces and nephews and little ones!). Here's to many more years of fun in Kalyn's Kitchen! I'm grateful for your dedication to quality blogging — and grateful for the personal friendship it has brought us. Happy 11th Birthday! I just love your site and have many so many of your recipes! Many more years to come for Kalyn's Kitchen! Thanks Tammi Ann; I am not planning to stop any time soon for sure! Where did you get those green striped chopsticks? Those rigid tips look helpful for those who have trouble gripping the food. I wish I could tell you, but I have a big collection of chopsticks and I have no idea where those came from!